Don’t make the Wookie angry. Buy him something he really wants. Sometimes, his fur gets a little loose around his midsection. It’s true. It’s something he doesn’t like to talk about. 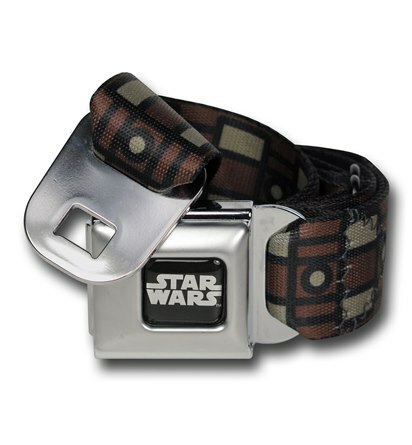 What he needs it something to keep his pants up, like this Chewbacca Seatbelt Belt, It’s created to look just like his bandolier, so it will match his ensemble perfectly! Check out our other list of Favorite Star Wars Things in our handy-dandy Gift Guide!